Basic Set now finished. Hot-Headed Instructor is finished and Touch of Ice is now added (yes, I know it's a slightly better Frost Shock, but I don't think that's a bad thing). 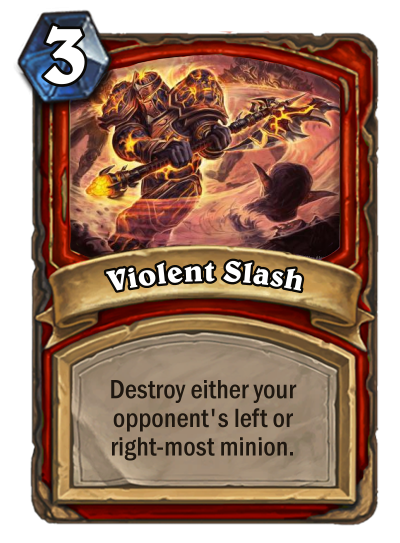 Violent Slash also has slightly different wording to indicate the effect is chosen, and against some people's wishes, I've decided to keep it at 3 mana. Wait, is Tox disqualified? Or is he just not posting yet? I was getting my hope up to see which random classes between mine and his people will like better. Well this is what I have planned so far for the Basic set, I will try to give some feedback to the posts I missed. 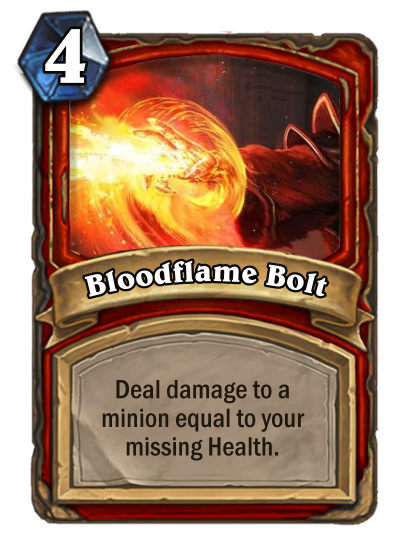 I know the two damaging spells are very underpowered but I'm trying to design the class around having weak direct removal and AoE. 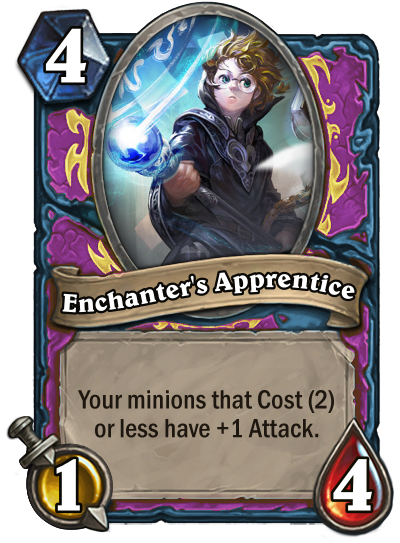 Enchanter's Apprentice is way too complicated for the Basic set. 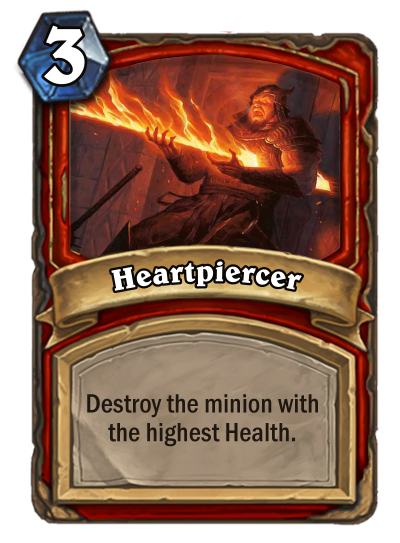 There is zero cost-related effect in the Basic set. 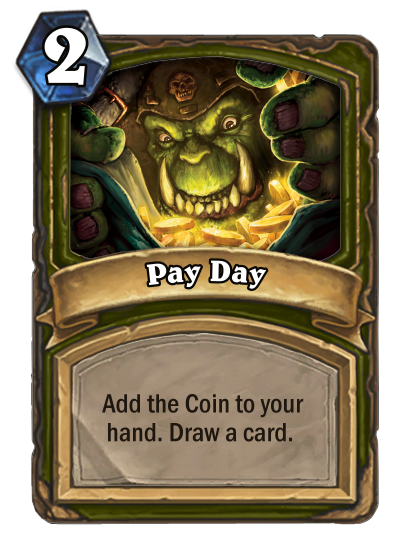 Innervate is as close as it get but the effect doesn't mention the cost of the card itself. 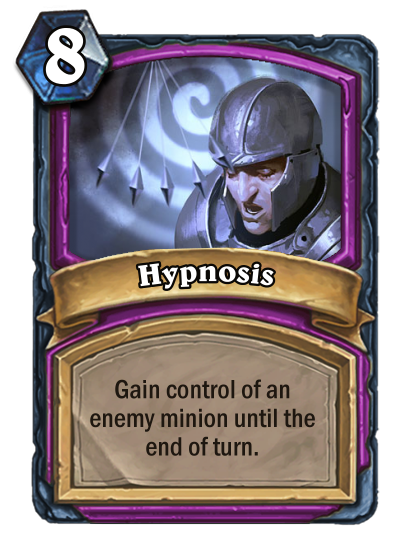 Hypnosis is also way too complicated for Basic set. 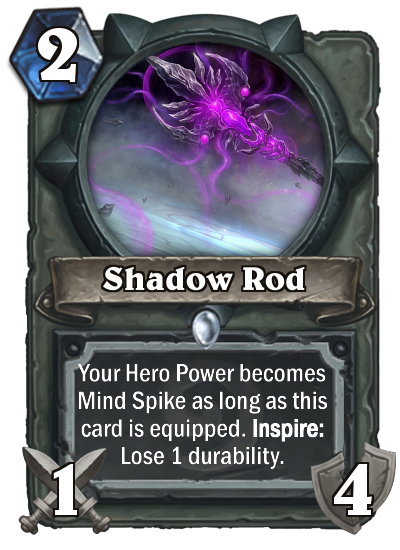 Mind Control is a permanent effect while Shadow Madness is a rare card. 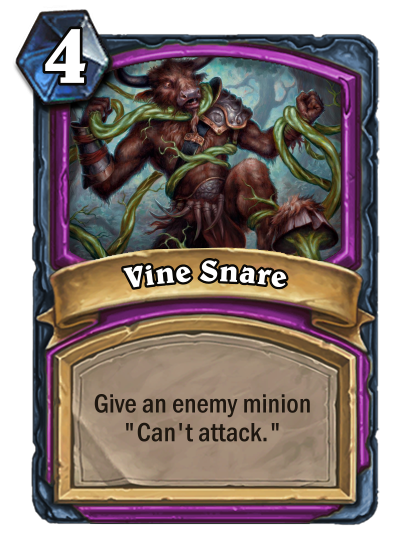 Vile Snare incredibly problematic it lockdown one board space for your opponent if they can't silence the minion or give it Taunt. Strength of the Meeks seem weak. Compare to Mark of the Lotus and Power of the Wild can become a 3/2. Overall, your set is really nice. 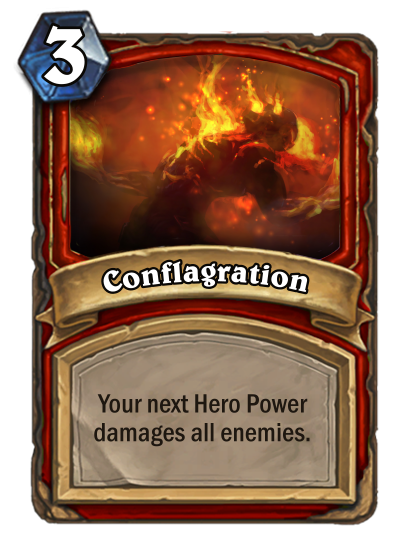 Focus on spawning minions and has weak comeback mechanic. Here's what I'll be submitting. Feedback is welcome! 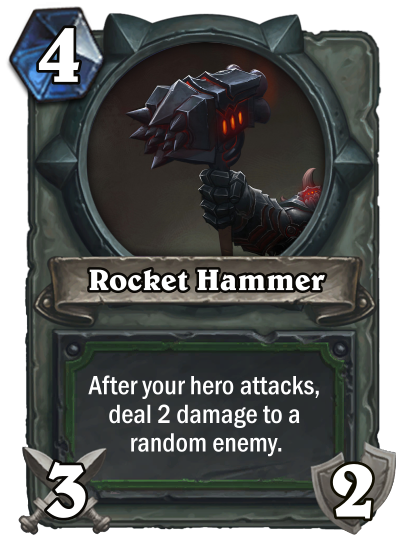 Archaeologist is a weapon focus class which focuses on board control, and sticky minions. 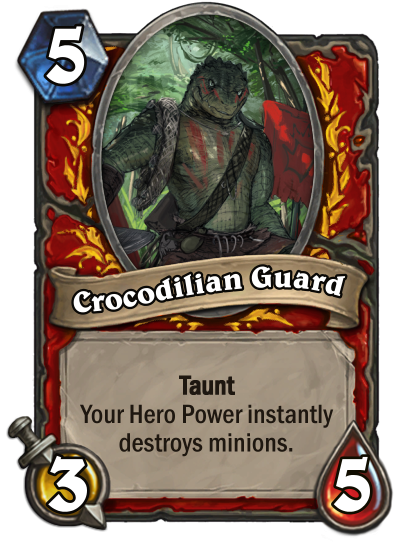 The basic set will mostly be about controlling the board, and survivability through armor and taunt. Decay is a fairly self-explanatory keyword. It will not appear on any basic cards, but in Classic onward, it will go on mostly weapons as a way to implement aura weapons. 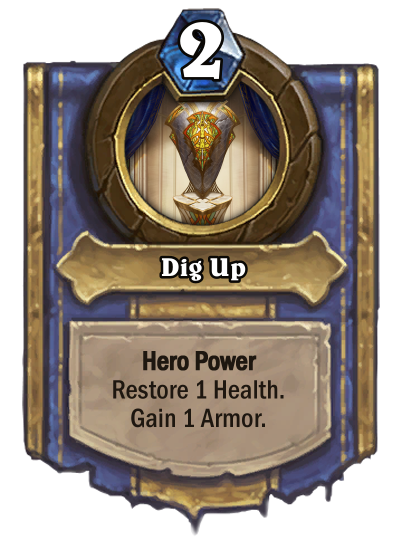 These cards show the various strengths and weaknesses of Archaeologist, showing that Archaeologist has decent draw, removal, AoE, and good armor gain and heal. 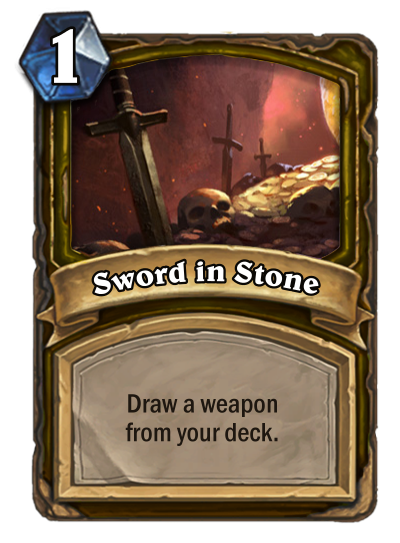 Sword in Stone shows what the class cares most about, again, weapons. 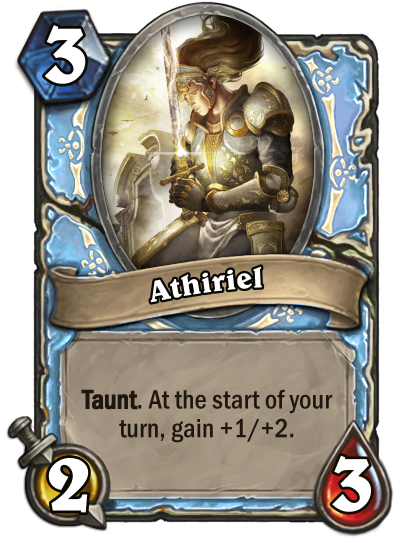 It's a cheap cycle that can tutor good weapons, but it benefits from having more weapons in your deck. 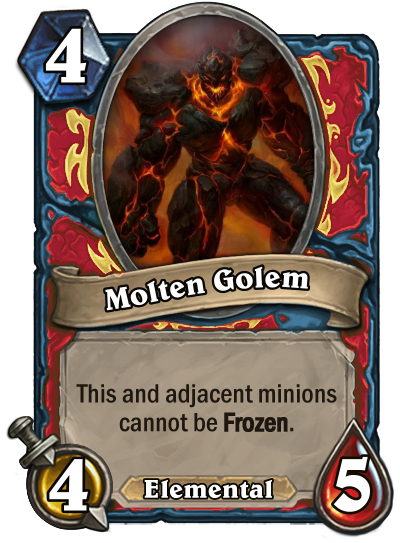 It is balanced around Forge of Souls. 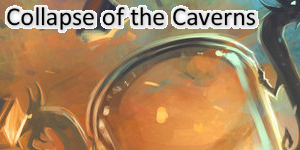 Uncover shows a unique aspect of the class - unique token generation. 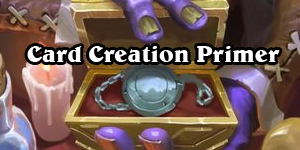 The tokens (in the spoiler below) are all 4-Cost overstatted minions that you have to pay an early cost for. 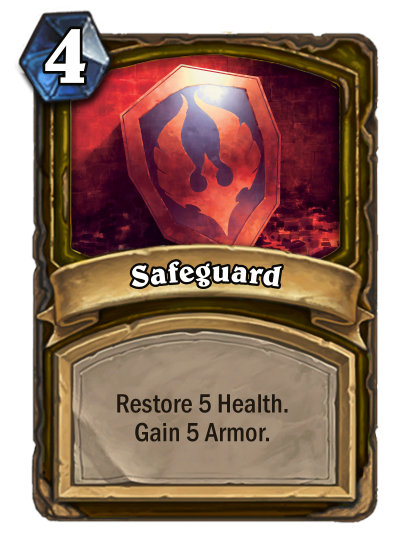 Safeguard is an amped-up version of the hero power, and it's efficiency comes from protecting both minions and your hero, or just your hero. 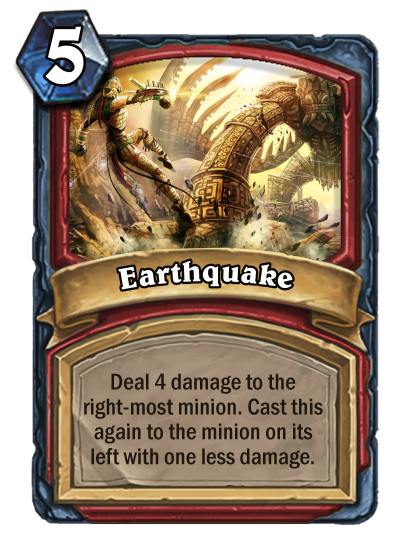 Earthshake is good AoE, and good draw. 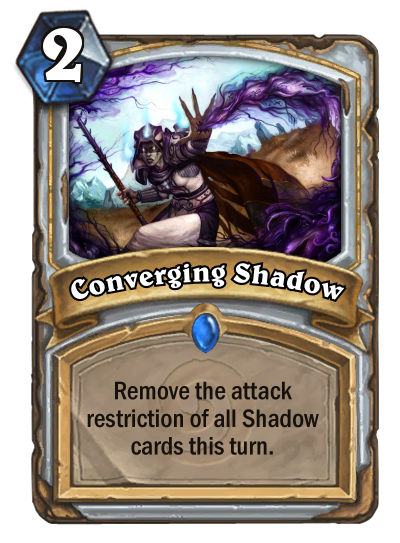 It's a fairly simple card which can provide a board clear and a refill at once. 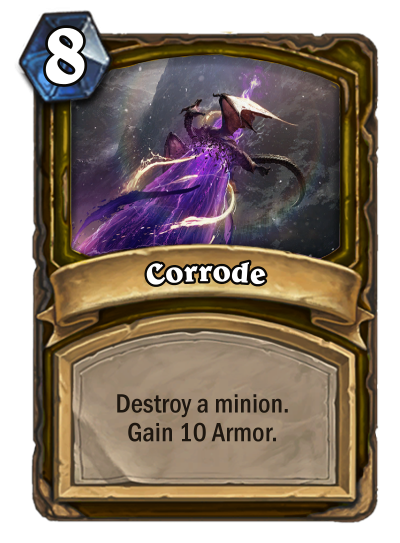 Corrode is the biggest card of the set, providing a large tempo swing and an extra 10 armor for your hero. Uhm. 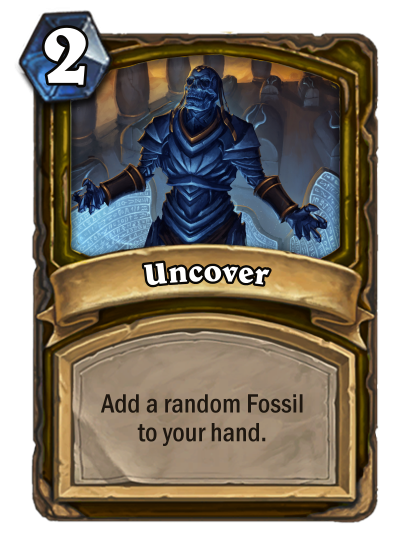 You're missing one card. 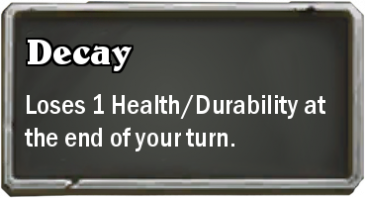 Your set only has 9 cards. Very nice set of cards. 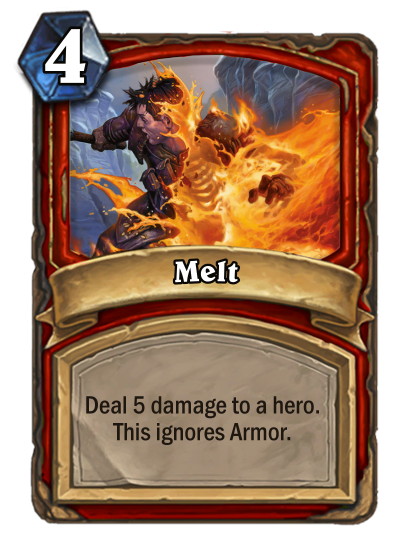 You managed to distinguish yourself from Mage and Warrior (which is not easy to do as evidenced by how much I criticized your post in the previous phase). 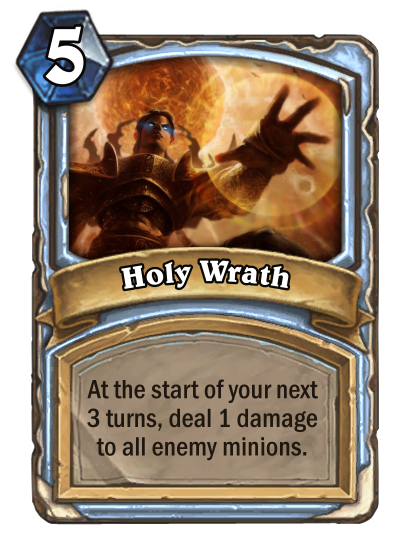 There's already a Holy Wrath in the game. You have to change the name. 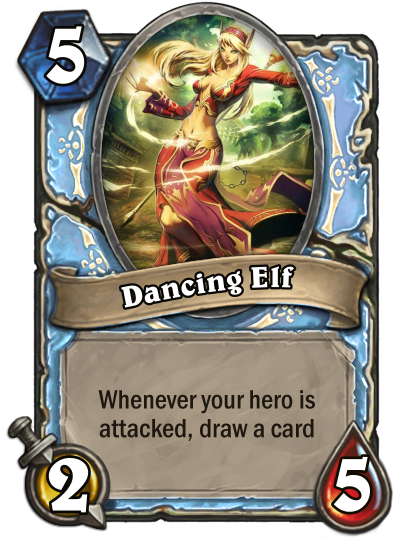 Dancing Elf is way too weak. 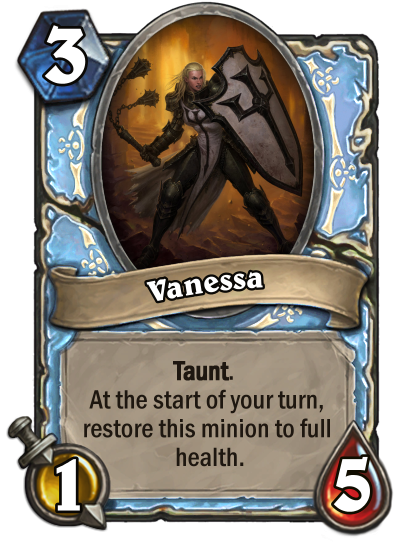 She basically a 5 mana 2/5 Taunt since your opponent will likely trade into her before they attack or ignore her if they have lethal. I think she needs to be a 4/5. Overall, good set. 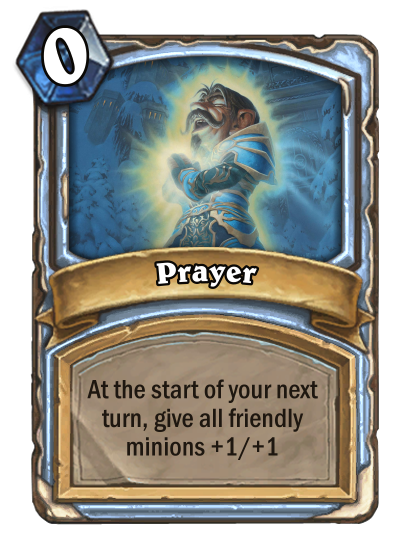 You managed to distinguish yourself from Priest and Paladin (which is not easy to do) by giving them very little healing. 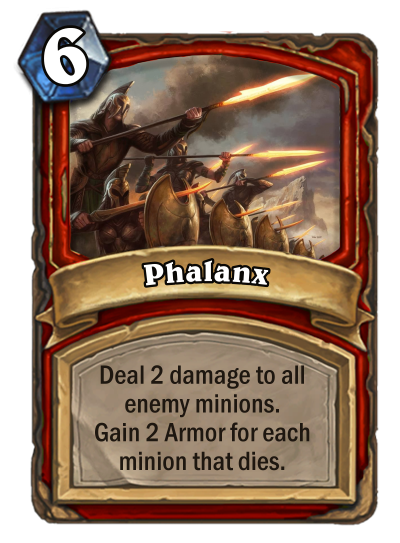 Dumping my current cards for some feedback. Ran out of time, will give feedback tomorrow. Everyone's sets are looking good so far! Welcome to Blasthammer's Garage! Allow me to introduce myself. 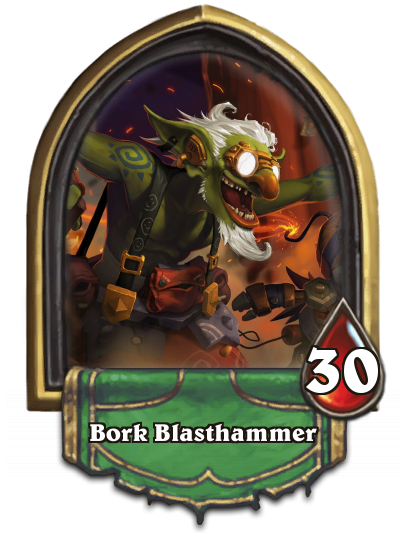 Bork Blasthammer, Tinker extraordinaire! Here I- eh? 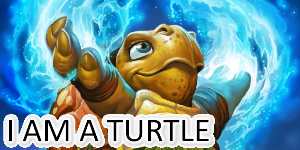 What's a Tinker? Wait, seriously? Then why are you in... ahem. Well, you came to the right place! 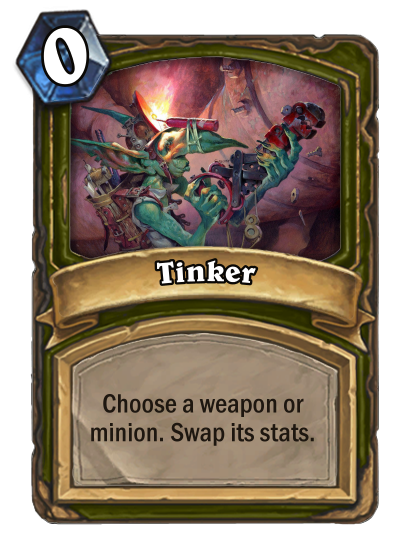 Let me show you what we Tinkers can do! We Tinkers are crafty thinkers that make all kinds of wonderful toys. 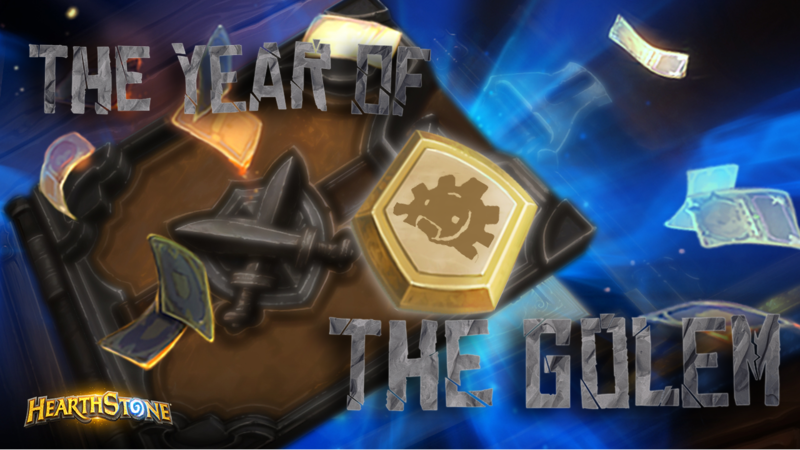 Weapons, mechs, missiles, bombs, anything you could want... and quite a few you don't! We're constantly wracking our brains for the newest ideas, filling our workshops with Scrapbots from all the leftover parts and half-baked plans. I'm confused about how the two minions tied to the set at all? Like, what themes are they supposed to represent in your class? 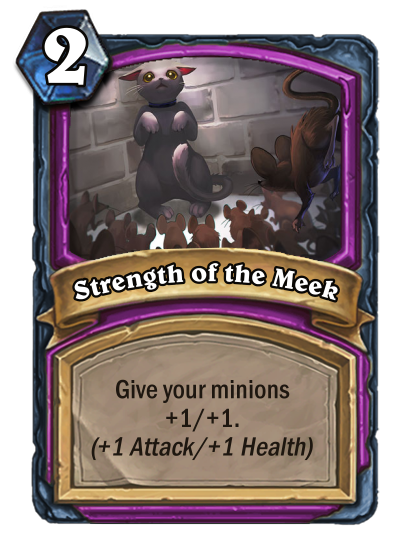 They have weak-stated minions? 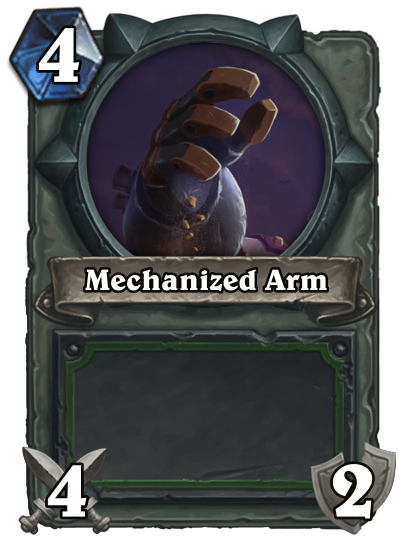 Mechanized Armor also looks really out of place as the only Armor-granting card in your class. 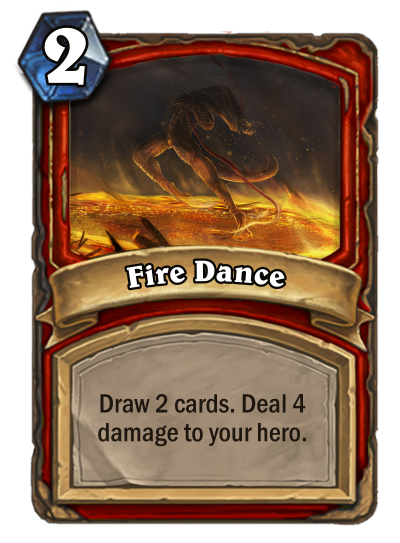 Your Basic set has a balance power level but has some design issues. 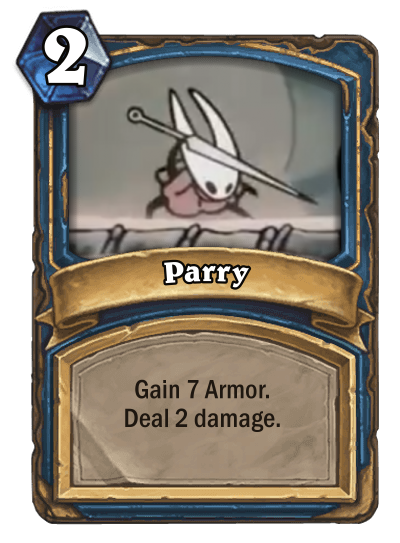 Namely, the two minions and Mechanized Armor doesn't fit in the class at all. So this is what I was thinking for the botanist. Of course the main strength of the botanist is to stay alive as much as possible to draw as many seed an build up the evergrowth. 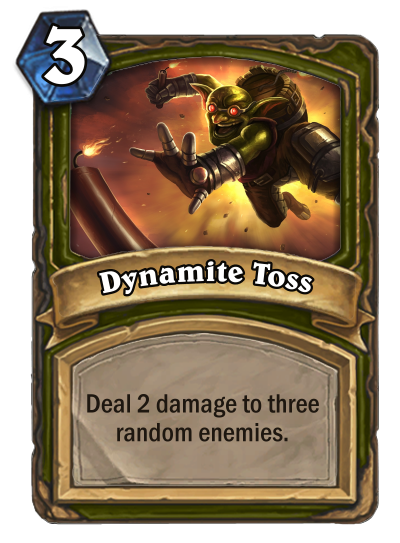 Someone said that was risky because of the hate against the jade golem mechanic but this one is way more slower so I’m actually happy to go ahead with this mechanic. 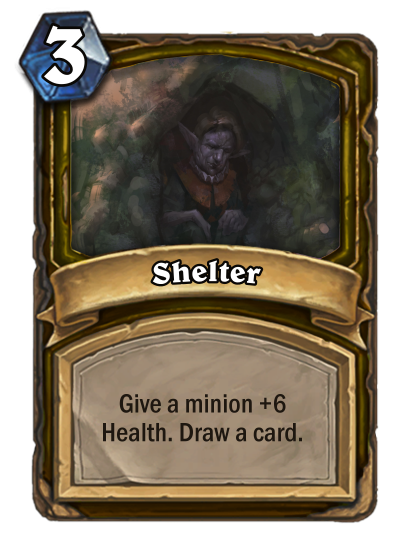 The basic cards are mostly focused on drawing cards and stay alive. 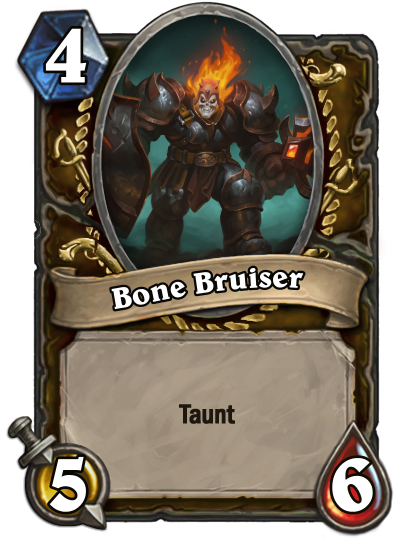 That’s why is mainly focused on taunts and health buff. 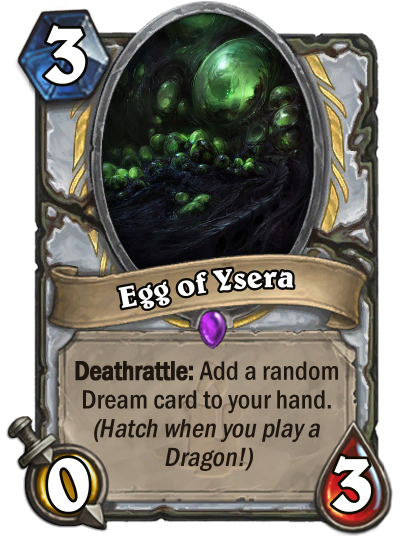 I changed a bit the wording for the keyword too. 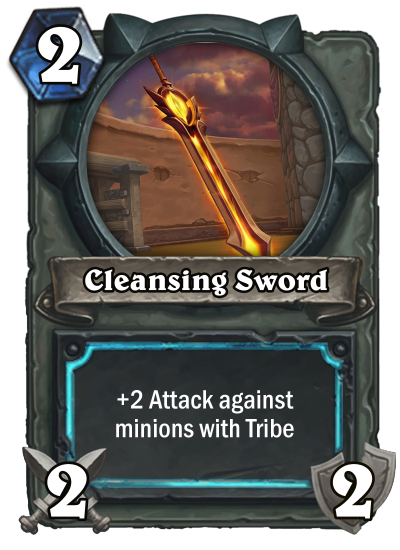 I Do like the idea of using weapon for this kind of class but I'm not really sure if I want to use that in the basic set or not. Thanks all for the feedback!!! This key word is basically jades. 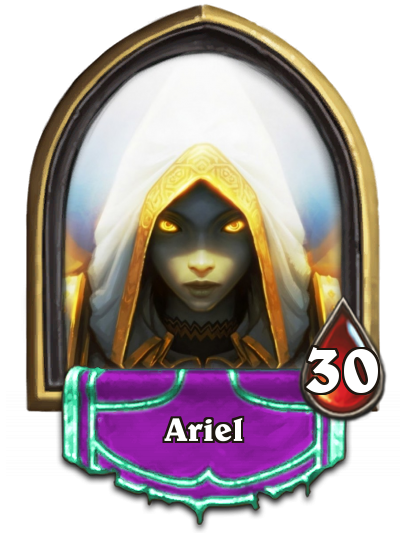 I don't think jade golems should be a permanent mechanic in the game and I'm also concerned that your class is too similar to druid. Tox just hasn't posted yet, he wasn't DQed. I believe he might be waiting until he has a full Basic set to show. I could be wrong, maybe he just hasn't gotten around to posting it yet. So this is what I was thinking for the botanist. Don't have time for some in-depth feedback, but I just wanted to let you know that you can't use Fertilized Treant - class-specific mechanics like Evergrowth are not allowed in the Basic set. 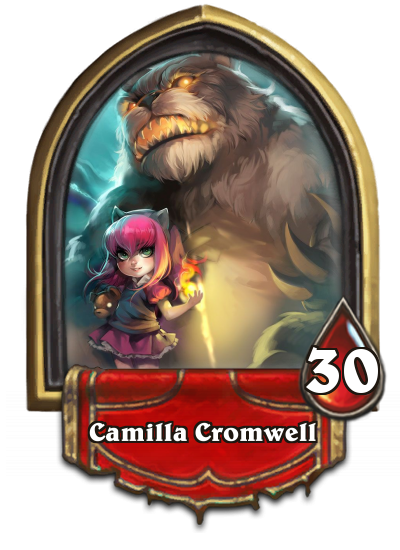 for the druid concern that’s why I wanted to use weapons aswell but maybe I should add one more in the basic set. I didn't realise that. 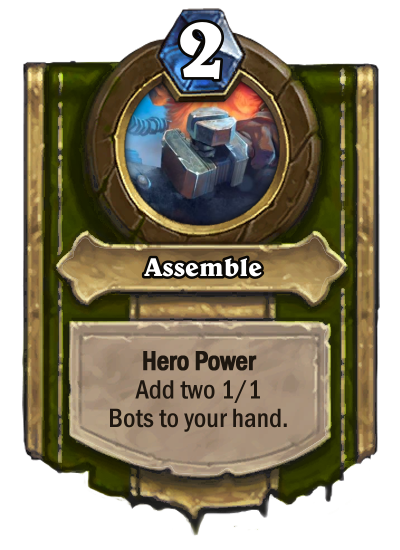 Class-mechanic also mean any use of the hero power? Just wondering if the Seeds Channeler is ok at this point. 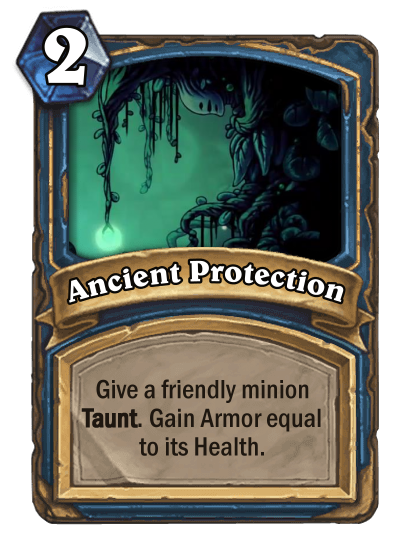 Anyway i'm gonna rework the basic card on my second idea, in that way it will feel more different than druid's card. The old version was too good, i agree. 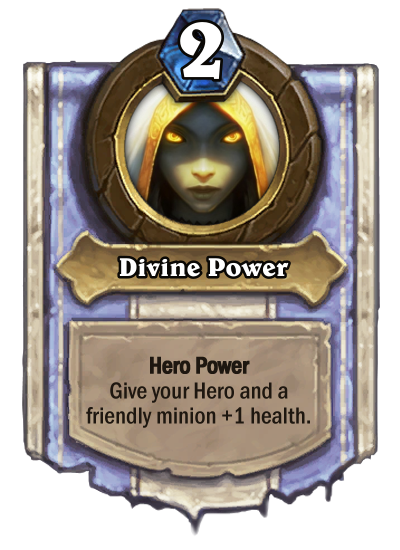 This version only empowers the Hero Power for one turn, and it doesn't pass through divine shield. 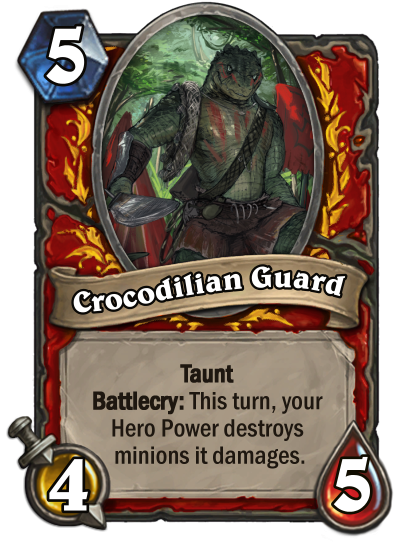 My question is this: is the combo of Crocodilian Guard + Conflagration + Hero Power on turn 10 too good? 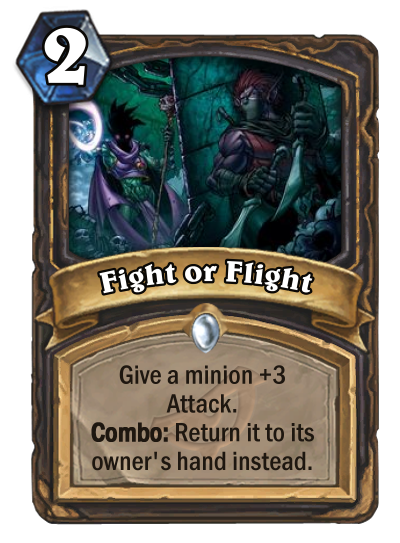 It's a one side twisting nether for 10 mana (2 card combo). 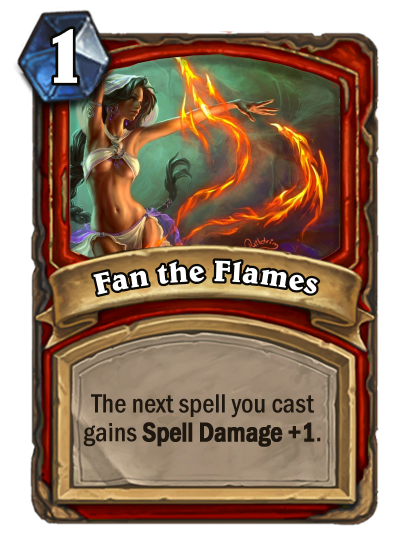 The old Fan the Flames had a typo. 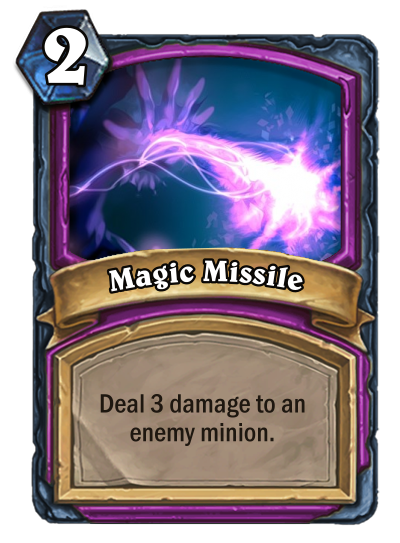 Spell power does not exist. However, after i corrected it, the text looks too small. I crammed it into 2 lines because of the restriction, and it looks bad now. 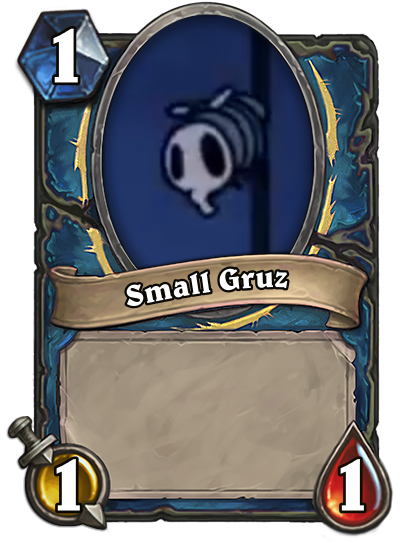 Is the 1 mana version ok? It persists from turn to turn, but it looks better. 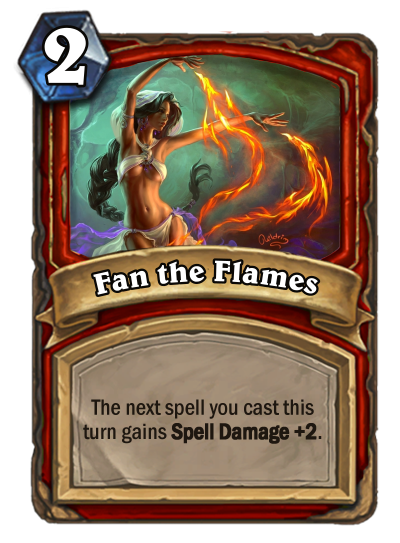 I could also just make it 2 mana "The next spell you cast gains spell damage +2", but that might be too OP. What do you think? 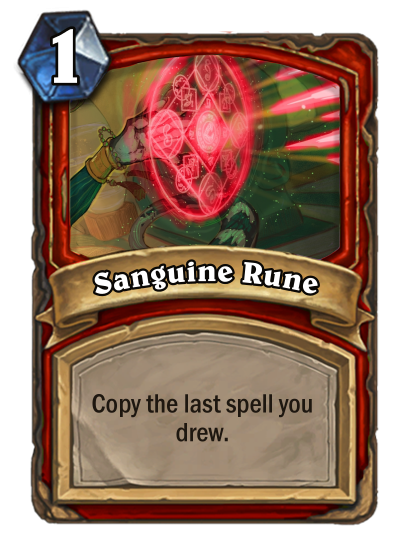 The old version allowed for an "infinite" cycle of this spell copying itself. the new version utilizes the wording of Simulacrum. 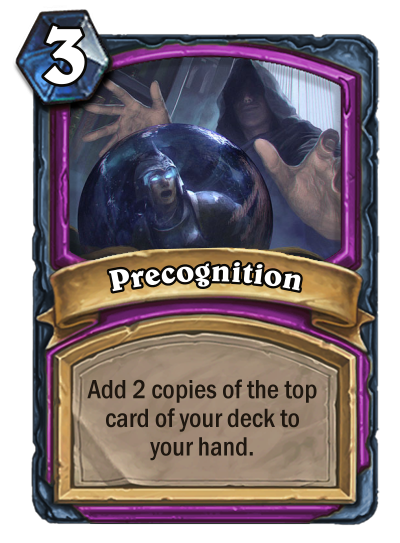 It still copies spells in your deck, but in a different way. 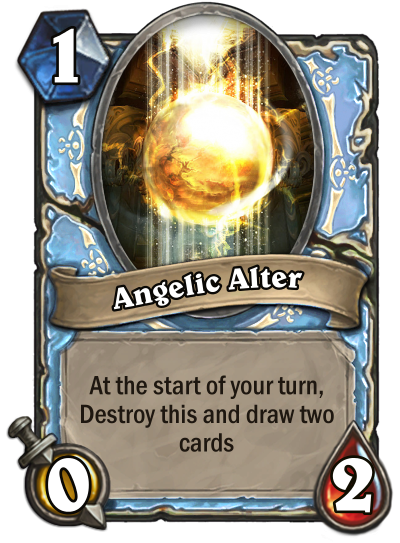 It's a simple effect, but hard to master as you need to remember what was the last spell you drew. I'll try to review some classes later tonight. Until then, feedback is welcomed and encouraged! Be sure to open all spoilers! 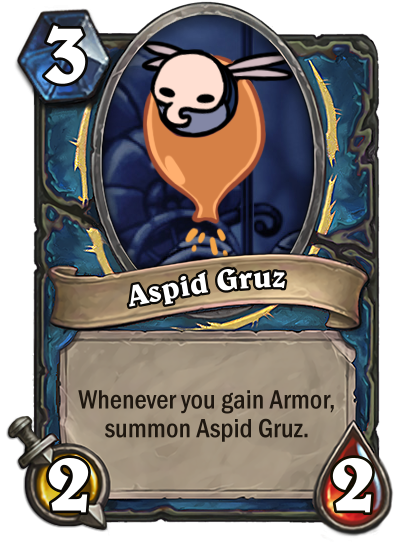 Im not sure how you are confused by those three cards in my set. 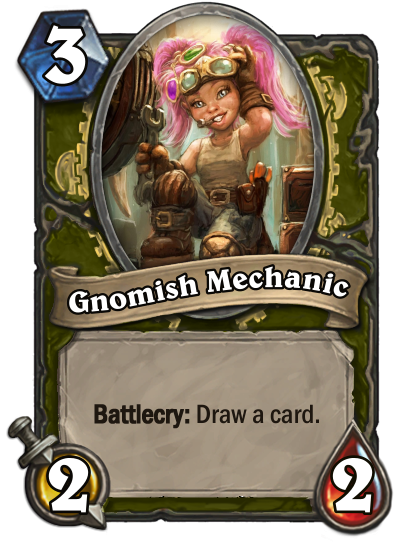 Mechanic is the 3-cost draw-a-Card gnome that Basic never had. There hasn’t been a single 3 cost draw a card minion in the game except gvg’s Experimenter, which is bad. 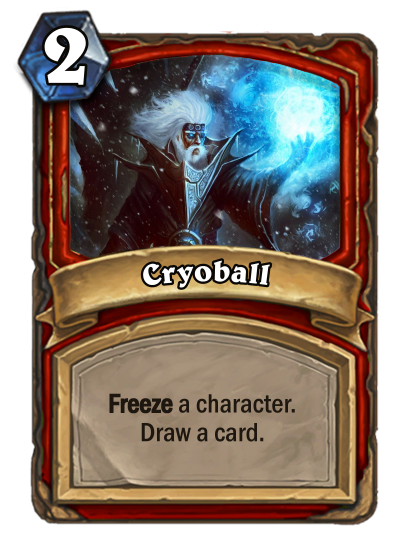 The class has okay card draw, here’s one they will always have. Simple design but it fits thematically and mechanically. 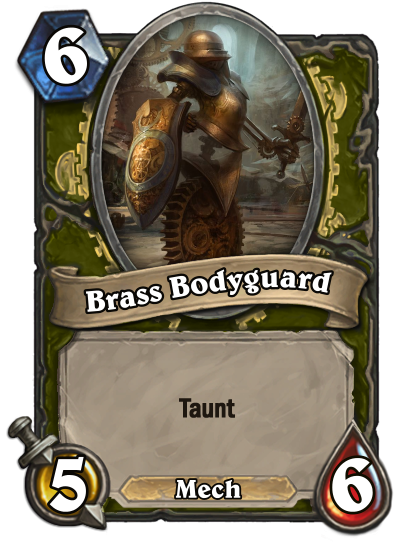 Brass Bodyguard I realize now may have too low stats, but just barely. 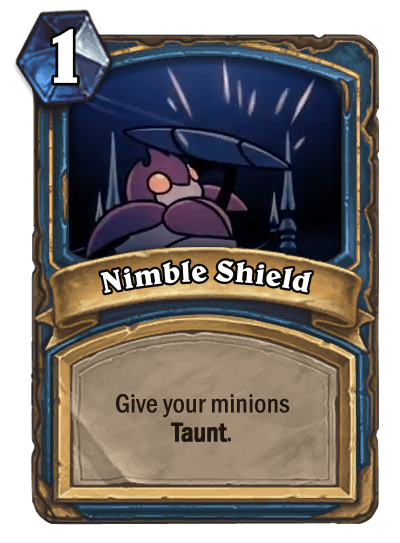 He’s a simple taunt mech, at a time when there was no mech synergy. 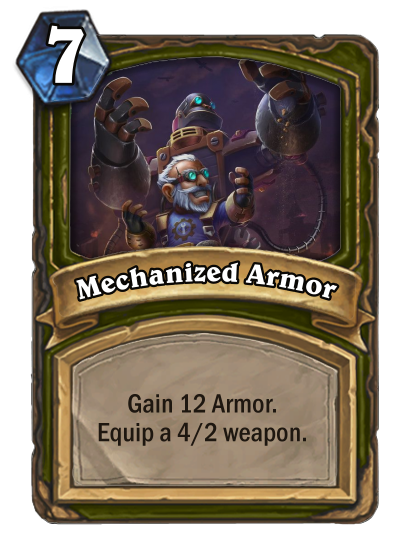 Mechanized Armor is a big comeback tool giving a bunch of armor and a weapon. 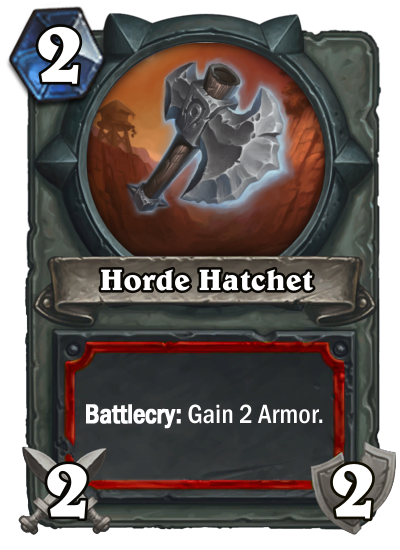 Warrior, the armor class, only has 1 basic card that involves armor. 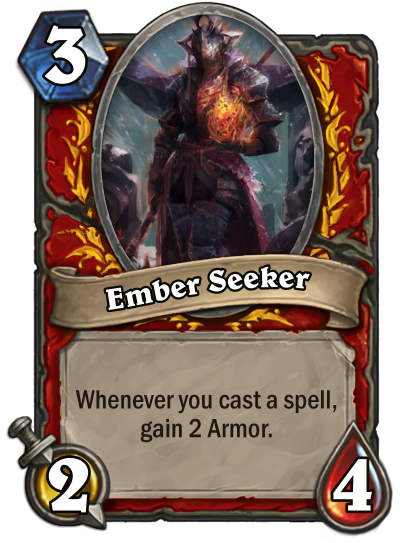 My class will have less armor related cards, but I wanted a big boost spell and this seemed good to me. So I don’t follow that they don’t fit the class. 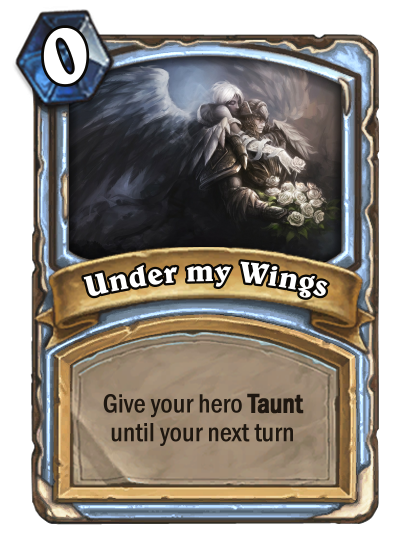 I’m not done with my cards, there’s a few I don’t like and want to replace, but those I was happy with. I really like your cards. 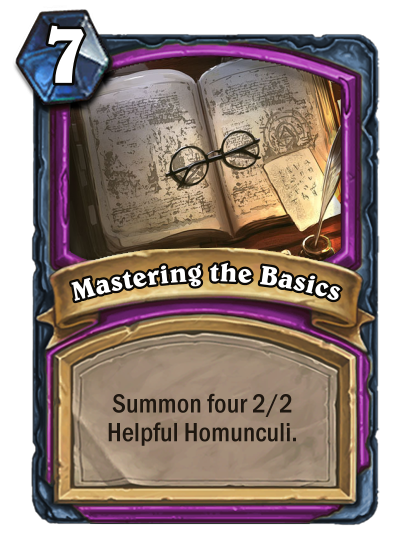 I was skeptical of your class at first because I thought it would be too similar to either mage or warrior, but carved up a good place for yourself in the design space. 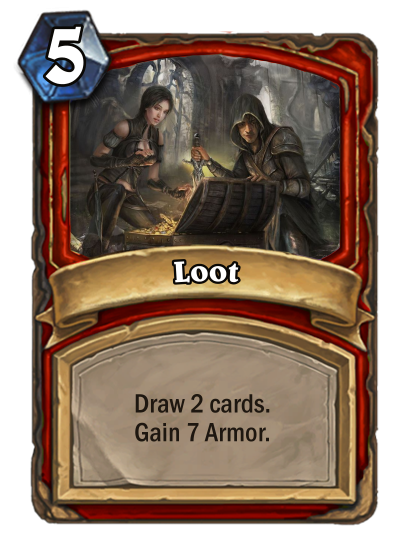 Im personally very fond of Loot. It's got loads of flavor, it's simple, it's powerful. 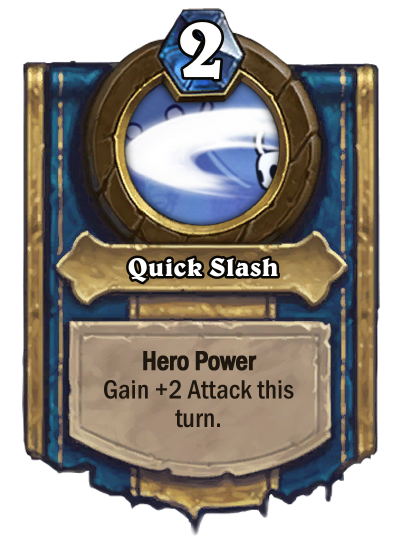 I'd say Violent Slash is ok as a 3 mana spell too. 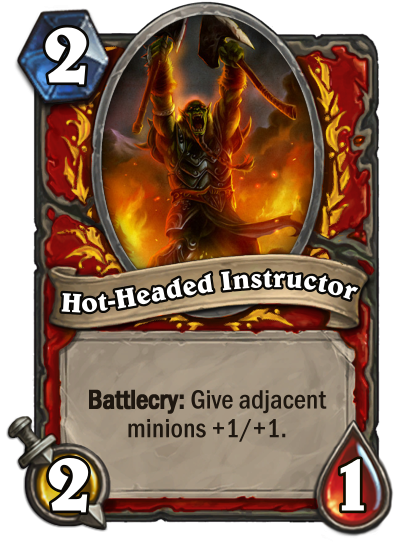 However, I think Hot-Headed Instructor may be too powerful. 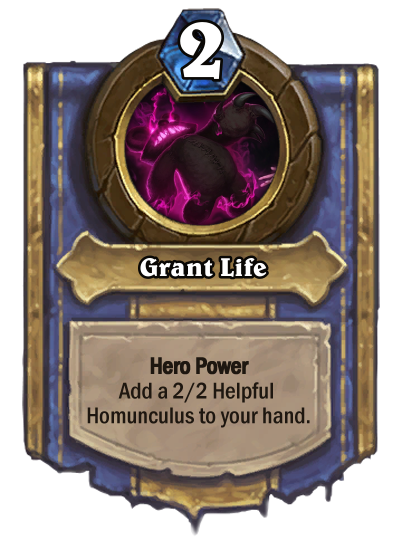 This kind of cards usually have mana cost equal to their total stats or 1 stat over, see Defender of Argus (total of 4/5 for 4, with taunt) or Fungalmancer (total of 6/6 for 5, more minion dependant). 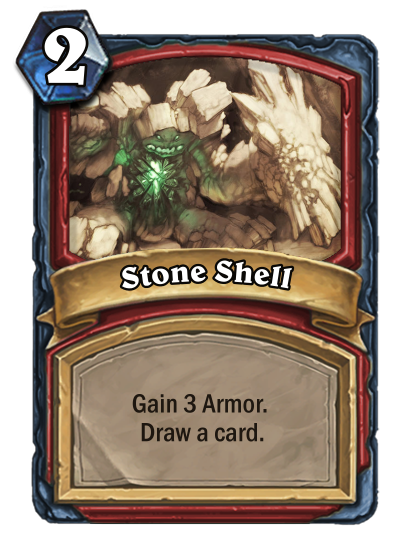 Your card is a total of 4/3 stats for 2, which I think is too much. With proper token generating tools it can snowball very early on. I'd drop at least one stat, or make it a 2/2 for 3. 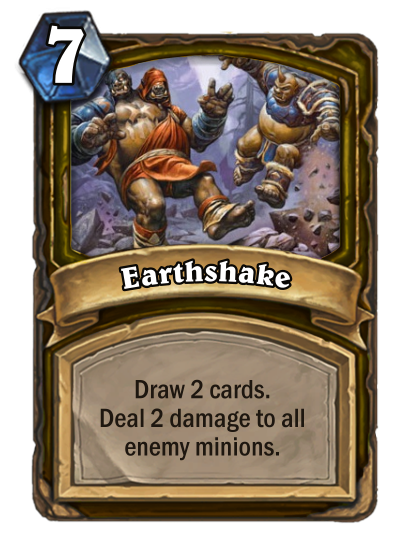 It's too much right now, even if it isn't easy to have two minions just in turn one. Solar Eclipse: Ancient time has the belief that Solar Eclipses will cause bad luck happens to people who looks at them. 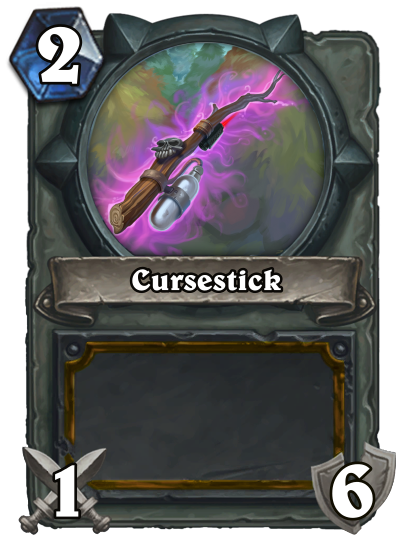 With the Basic set filled with random effect, new players of this class will be grateful for this card. An introduction for the class's main flavor of control random effects as well as foreshadowing the Gaze mechanic in the Classic set. 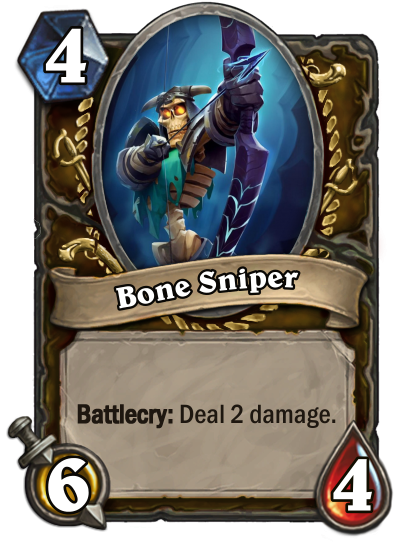 This card can also serve in more advanced decks as a combo piece since it allows you to preserve the Gaze effects already on the character. Astral Intellect: An example of the class's extremely powerful but also high variant random effects. 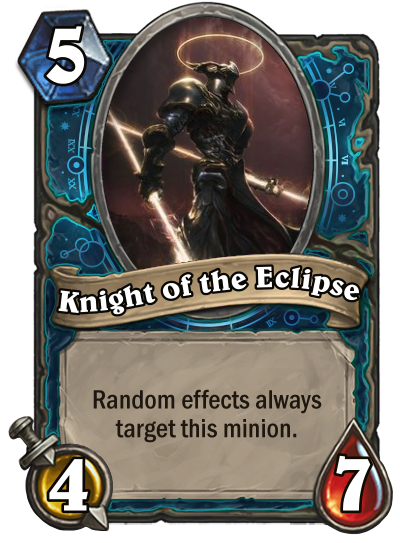 Most of the other cards will not as swingy as this effect, but this card is also the most powerful when assisted by Gaze or Solar Eclipse. 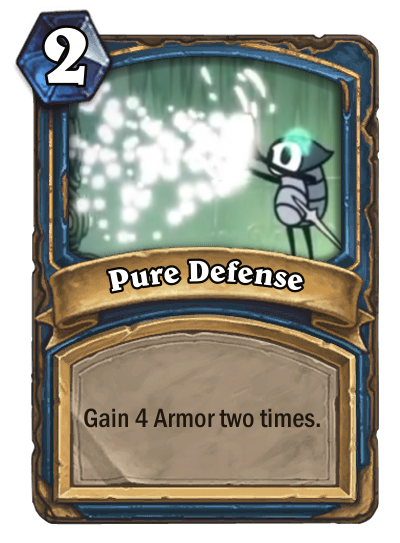 Of course, you can also use this card offensively in control or combo match ups to mill important cards from your opponent or get them to fatigue faster. 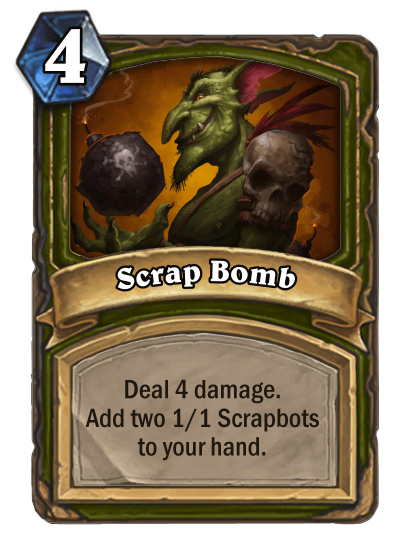 An example of the great disruption mechanic this class have. 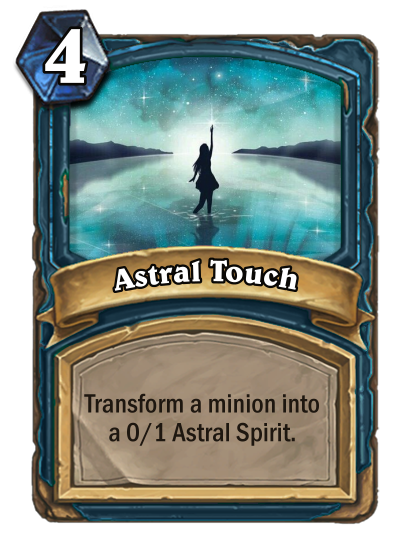 Astral Touch: An example of the decent removal this class have. 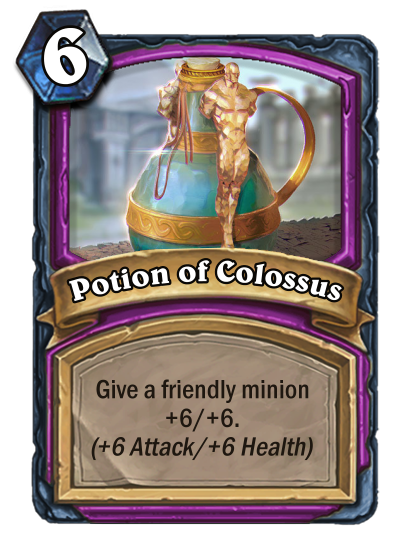 While the token doesn't immediately impact the board like Polymorph or Hex token, you will likely want to take care of it since the healing it provide can hit your opponent's face or minions. 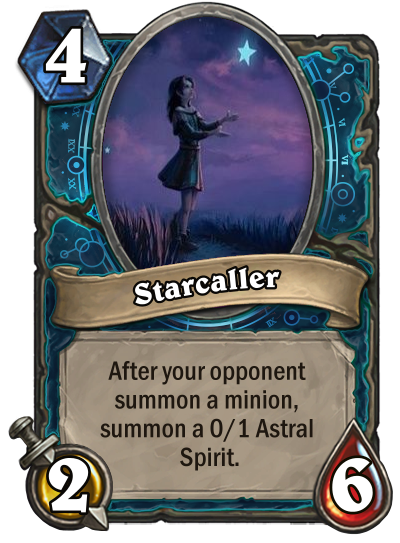 Starcaller: A minion that served many purpose: A very sticky and threatening 4 drop, a token spawning machine that allow to you spawn atleast 1-2 Astral Spirits that will most likely heal her back when she hit another minion, a great source of healing or a card will force your opponent to play inefficiently because they will likely not want you to create and the buff up the Spirits. 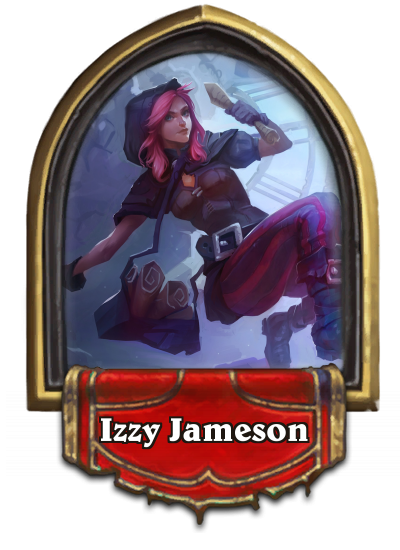 She also another example of the great disruption mechanic the class have. 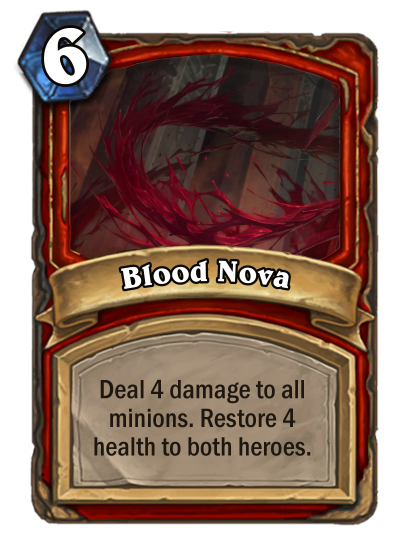 Supernova: An example of the less than stellar board clear the class will have. 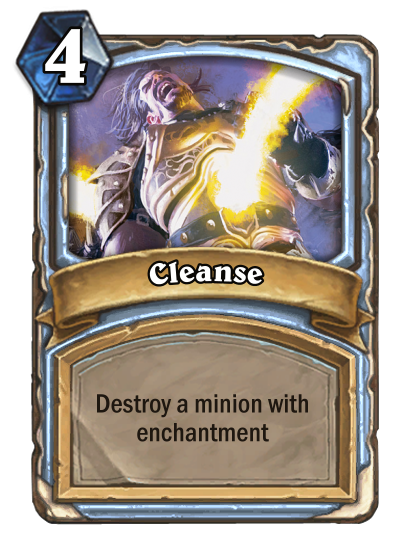 The utility of healing and board presence provide by it is nice but you will either wipe out everything else on your board, leave some minions your opponent survive, both or, worse, died before reaching 7 mana. 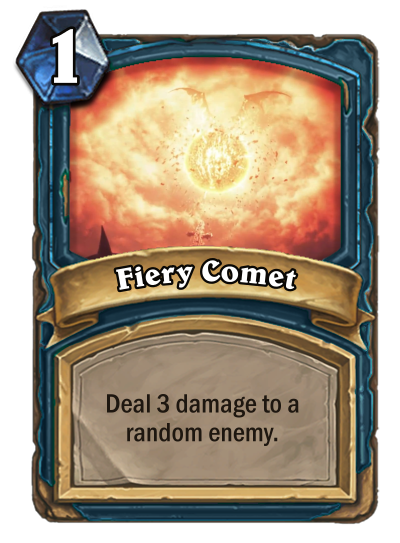 Fiery Comet: An example of the great burst damage this class will have. 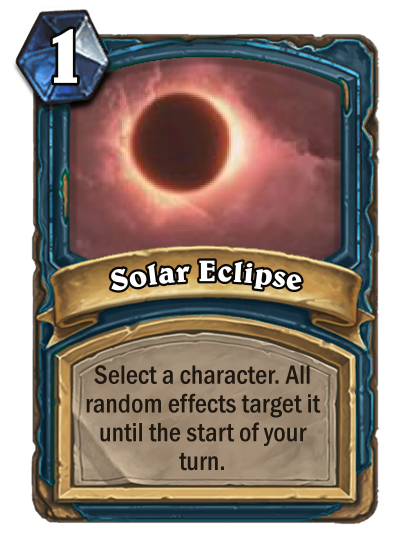 It low cost allows it to combo with Malygos with a little bit of set up like with another Gaze or Solar Eclipse. 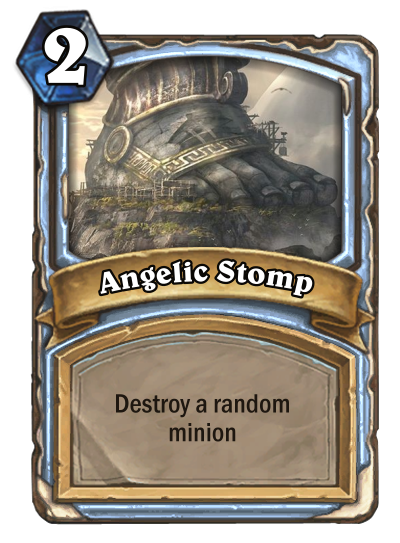 Or can use as a removal. 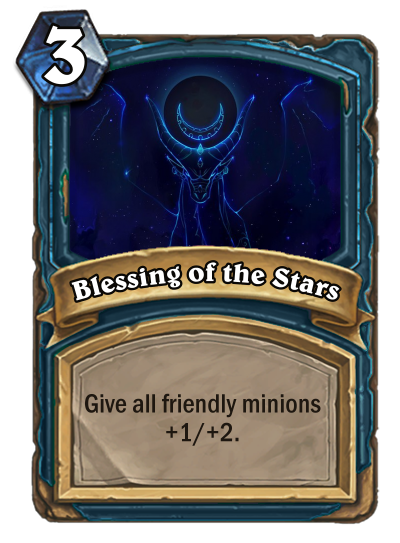 Blessing of the Stars: A card that foreshadow that kind of buffs that this class will receive. 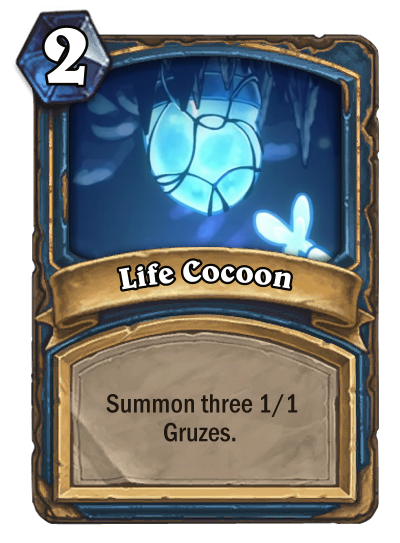 Most of their buffs will focus on keeping their minions alive on the board and provide extra utility, not bursting down their opponent. 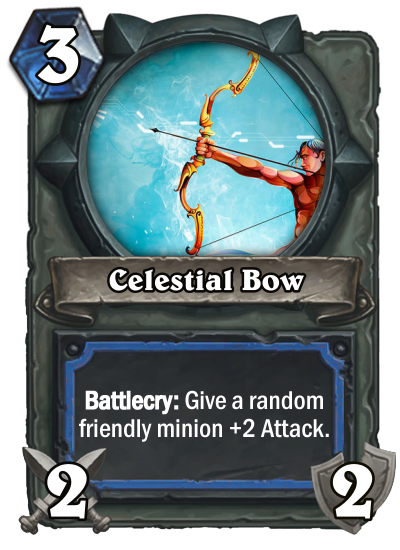 Celestial Bow: A card that support this class's playstyle of spawning tokens as well as how it will use its weapon: Most of their weapons will be used for tempo or supporting their other cards similar to Paladin and Shaman rather than being a main focus like Rogue or Warrior. 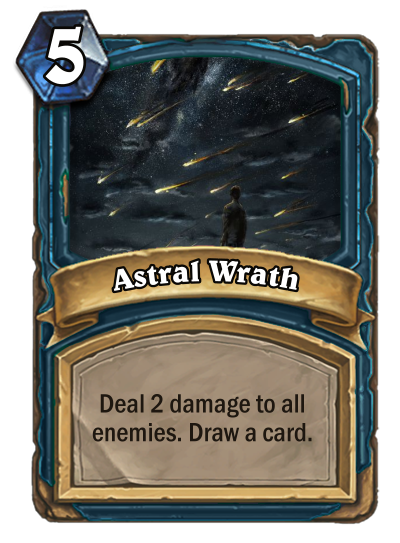 Astral Wrath: A card that showcase the weakness of the class has in term of AoE. 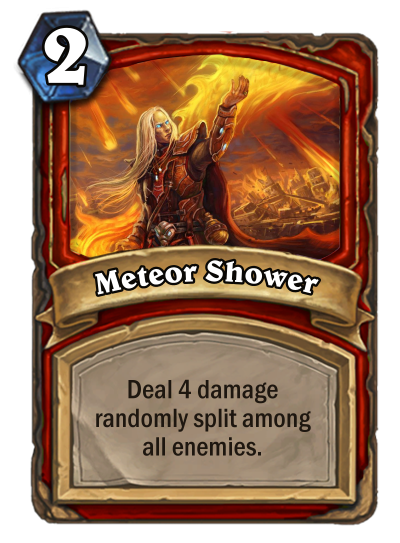 The damage is extremely weak for its cost. The draw is a little utility. 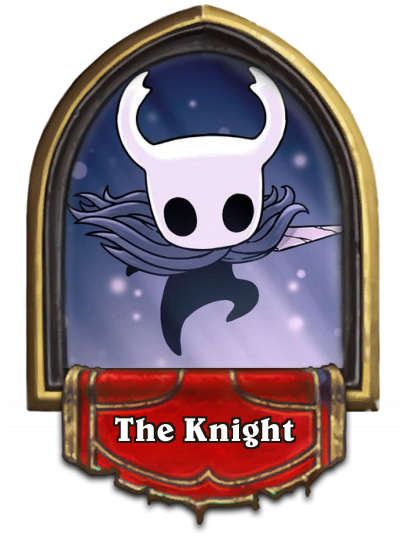 Knight of the Eclipse: A card that support more mid-range Astromancers deck. 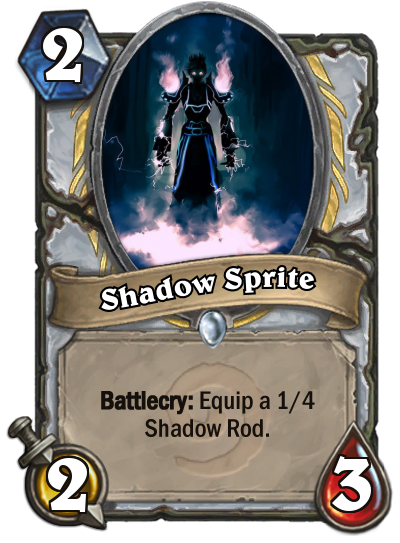 The statline is excellent for its cost and if you give him Taunt by cards like Sunfury Protector and hide him behind a bunch of Astral Spirits, he will protect them while they will heal back the damage he took. 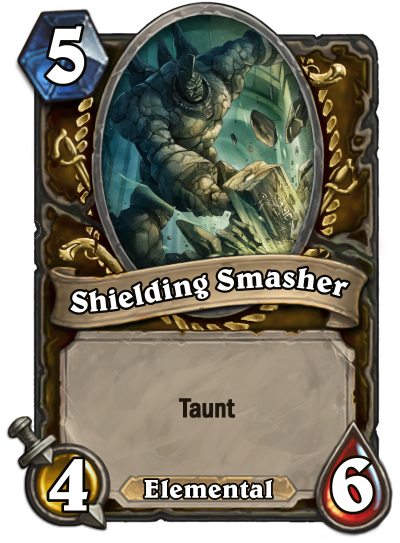 He is also an example of the disruption mechanic this class naturally has in its card set and how cards with Gaze effects will be given vanilla efficient stat to cost ratio since his effect is basically non-factor if you and your opponent don't have random effects. 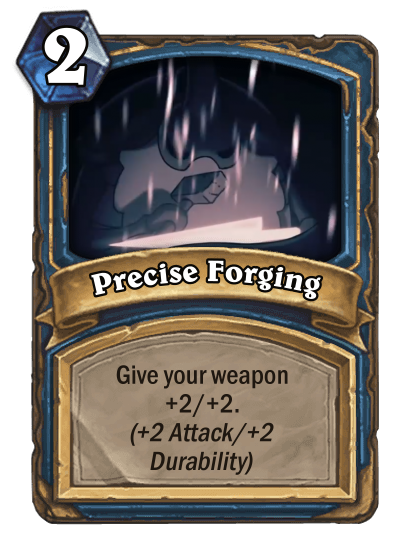 Or can even be beneficial to the Deadly Shot your opponent cast. I've seen a couple typos in your cards. 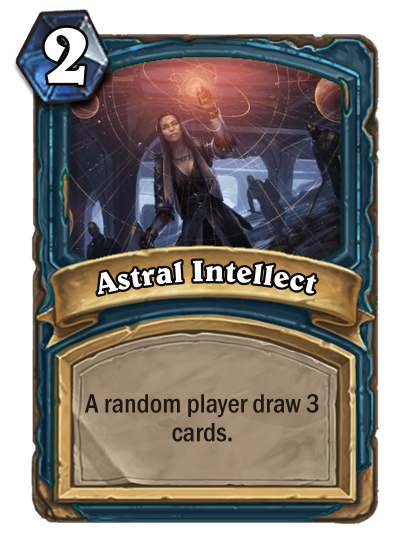 Astral Intellect should say "A random player draws 3 cards", and Starcaller shold say "After your opponent summons a minion, ...". 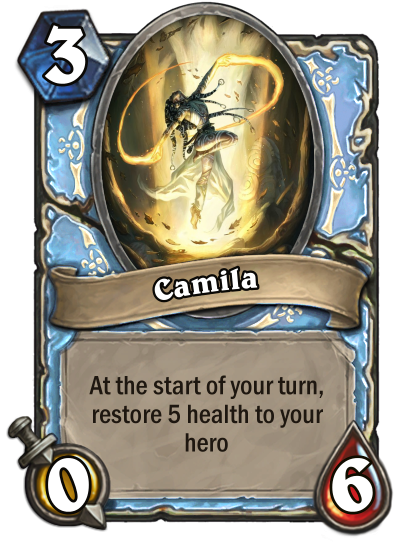 Otherwise, I really like how your cards are coming along, the class has a strong theme (it remindds me of my own Starcaller) and the balance is alright! 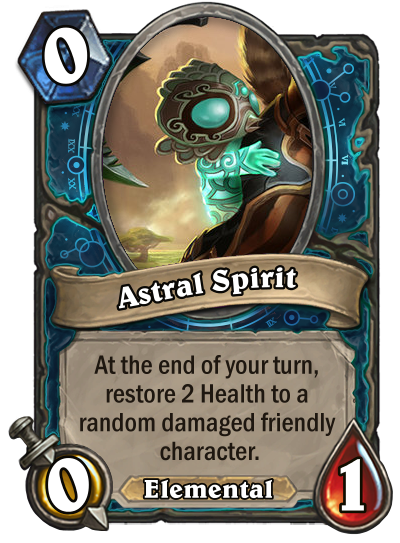 I'd say Astral Intellect should cost 3 though. 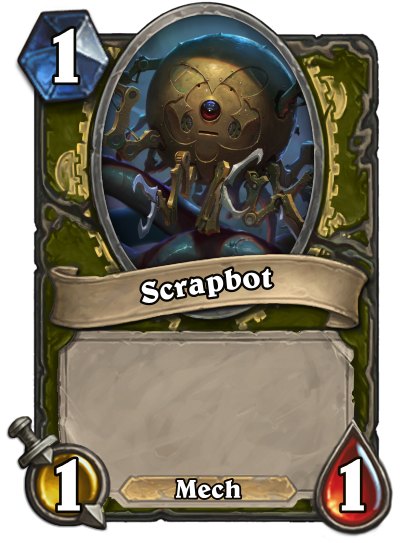 It is a very versatile tool, you can use it to draw yourself a lot of cards, you can disrupt a controlling opponent by making them overdraw and lose the fatigue battle and in general it's a very strong card coupled with Gaze. 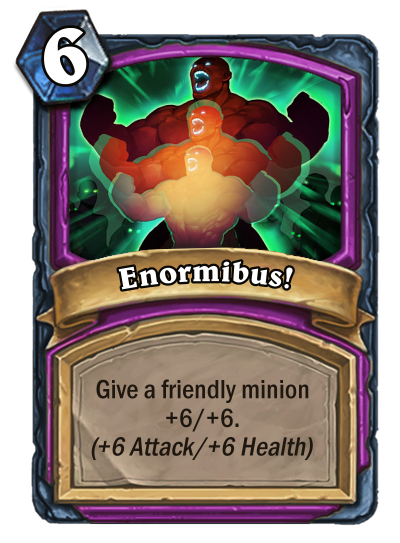 Remember Nourish costs 6 now, Sprint costs 7 and Arcane Intellect costs 3 (!). 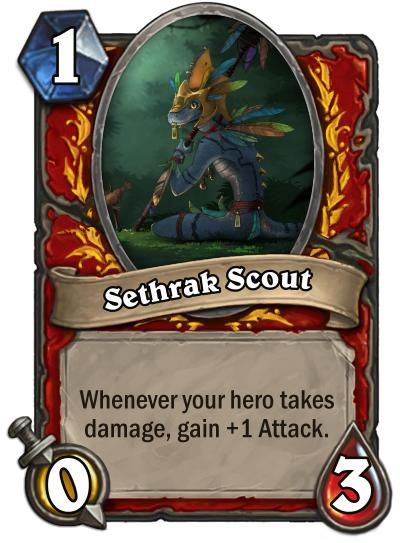 Even if it is random, the fact your class can target it makes it so you can't drop the cost so much. 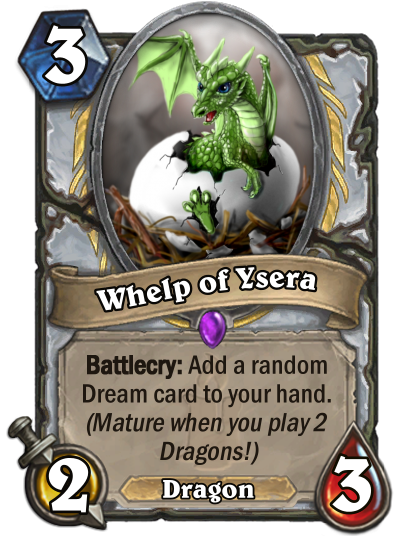 I like your other cards just like they are though! Hey! Digging your class a lot. 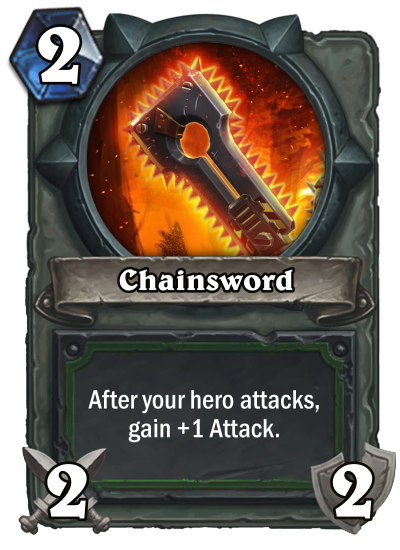 I like your elegant take on ye olde Fiery War Axe, Chainsword is powerful and cool. Just two things. 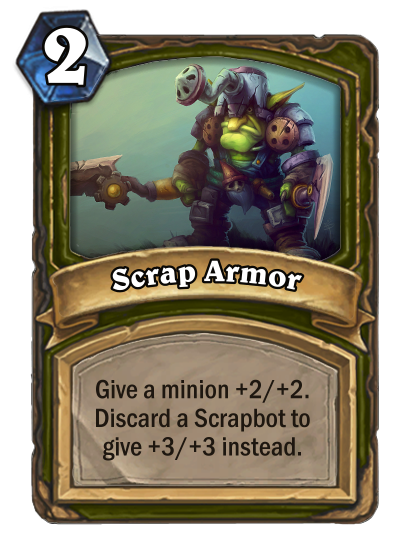 First, I think Scrap Armor is too complex for the basic set. 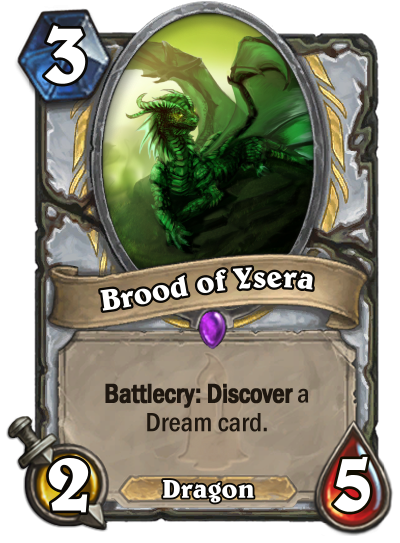 Remember things like Blessing of Kings had to establish what buffs meant, and even though Soulfire is a basic card, yours is a conditional discard. This may be a bit too complex. The other thing is that Brass Bodyguard could use an extra stat here or there. 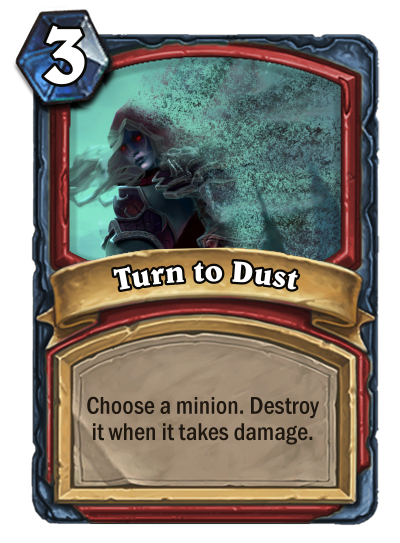 Turning it into a 5/7 is fine I think. Lol. I’m hoping most people are still working on their Basic sets. 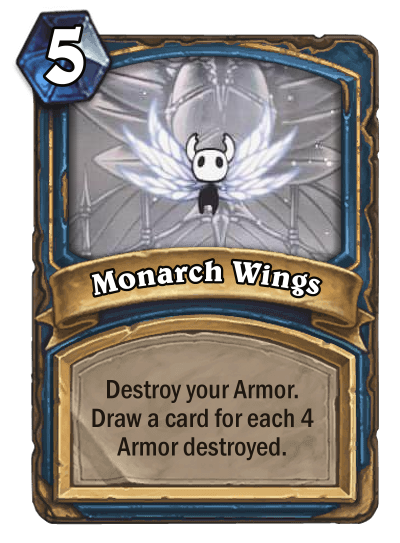 I might have 10 cards but I’ve got plenty of time to improve them. 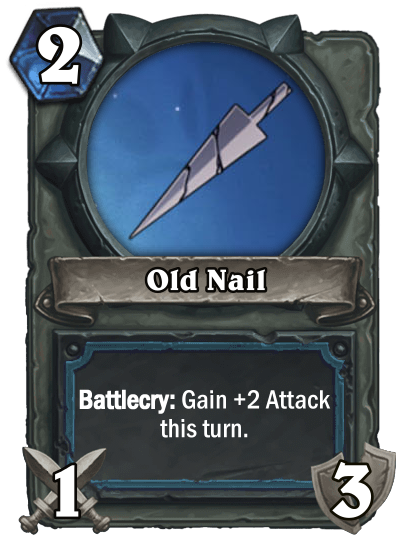 As for hand synergy, I’m saving that for future sets. Most of my cards that rely on it are too complex or have 3 lines of text. I donno about everyone else, but I'm going to be busy with finals and lab assignments for the next 4 weeks, so I want to be done with this ASAP. I'll try to pop up when I take a break to give some feedback around here. I feel most of them are quite simple and easy to understand. The only one I'm worried is too complicated is Earthquake. 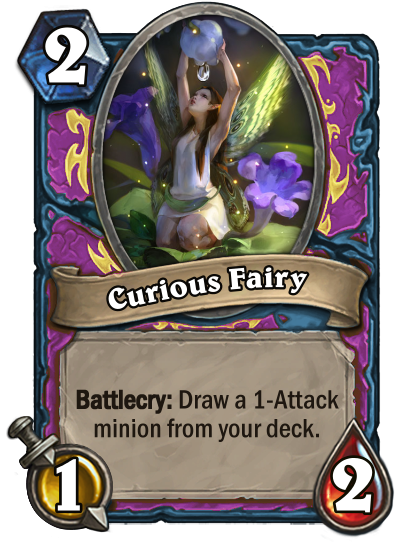 Question: Is "Can't attack" considered a keyword? 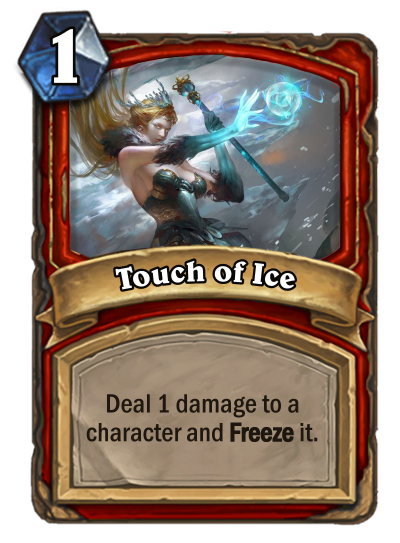 Because then I's have 3 basic keywords, along with Taunt and Freeze. Well Metaleech and Earthquake don't feel very Basic to me. 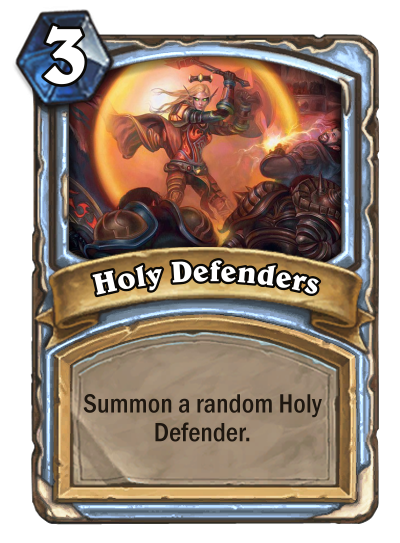 The first I think should use Spend instead of Destroy like Reckless Flurry and you don't need to specify "This" ex: Forbidden Ancient. 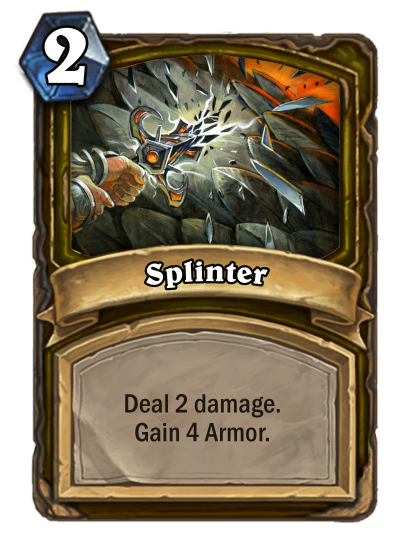 For the second one, why not make it just 4 damage to the Rightmost and Leftmost enemy minion? 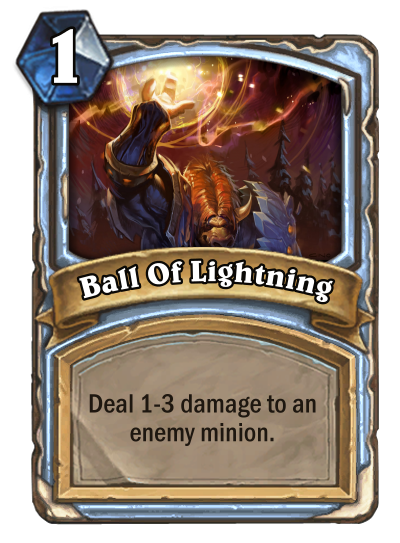 For the wording of Icy Rain you should to specify at the start of whose turn, like Doomsayer or Nat, the Darkfisher do. 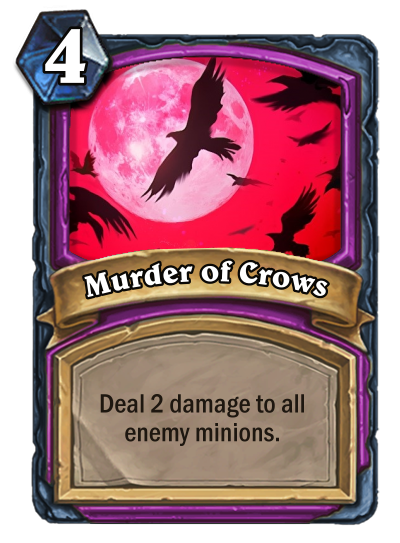 Otherwise the other cards look peachy to me. 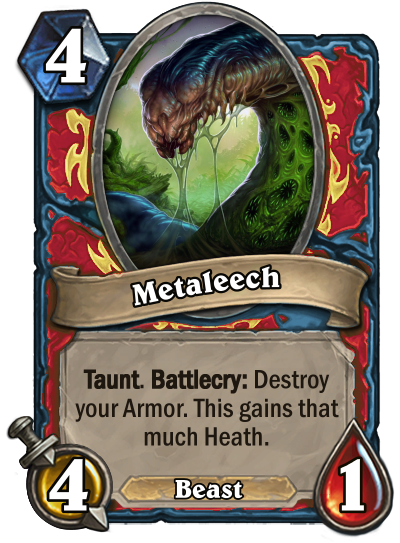 And I don't think "Can't Attack" counts as a keyword. 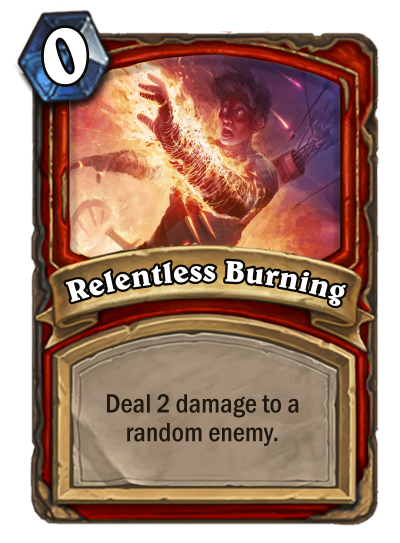 For basic cards I do think it is pretty strong to have an enemy board wipe, even if it is 10 mana. 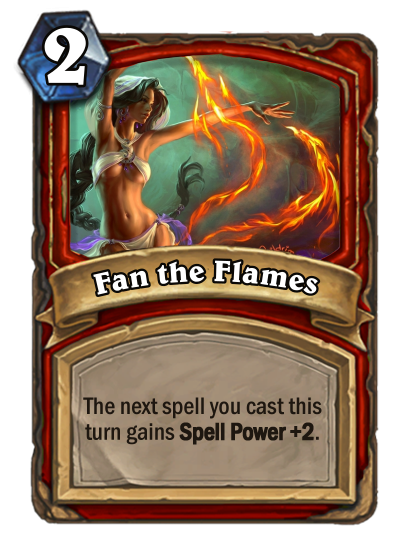 The second version Fan of flames is okay, for how the game works it can't stack with itself so that makes it okay. 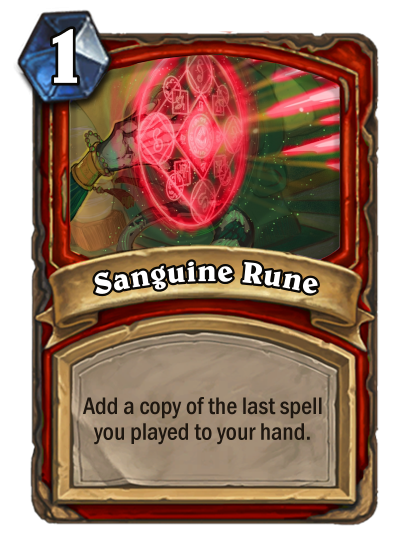 And I like the new rune, even thought it still can cycle itself infinitely. 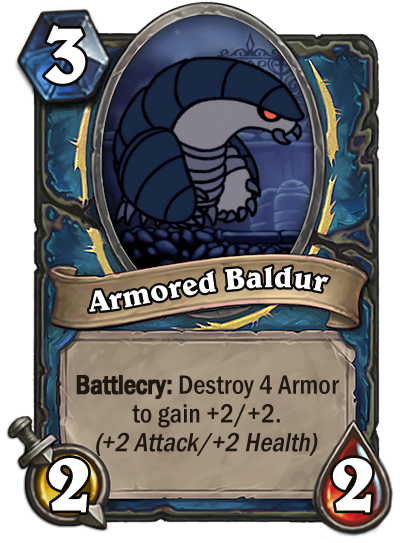 No, "Can't attack" is not a Keyword. Keywords are only the effects that are printed in bold, that provide an additional explanation when one hovers over them.